As a mature industrial microwave equipment manufacturer, MAX Microwaves are commonly utilized for mineral powder such as iron mineral, copper mineral, manganese mineral and aluminum mineral. There are many features of mineral powder such as solid, wear-resisting, very stable, high temperature resistant and high insulation. As the mineral powder is high insulation, traditional drying method hardly dehydrate the mineral powder, and takes a longer time to dry off mineral powder. 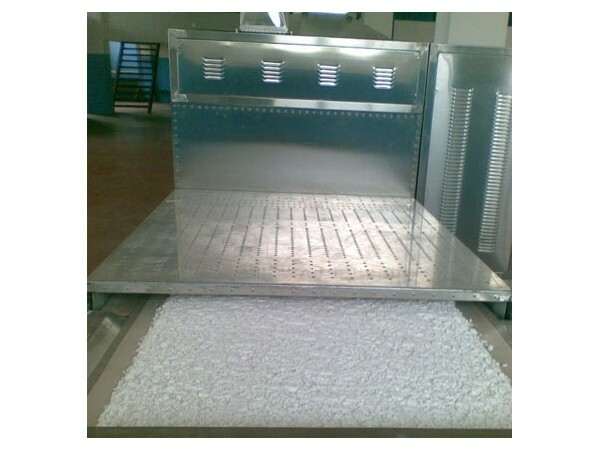 Therefore, Max Industrial Microwave dryer is an efficient drying method to process mineral powder. 2. Unlike the traditional heating method from external to internal, microwave energy directly heat inside of powder so the water content could quickly reach under 1% to meet with customers’ expectation. 3. Flexible and easy control panel; reliable manual system. 4. Less labor, easy operating , small working place without pollution and noise. For your application ,we could provide the industrial microwave drying machine including vertical microwave oven ,tunnel belt microwave dryer, combining with other drying method or vacuum microwave dryer.